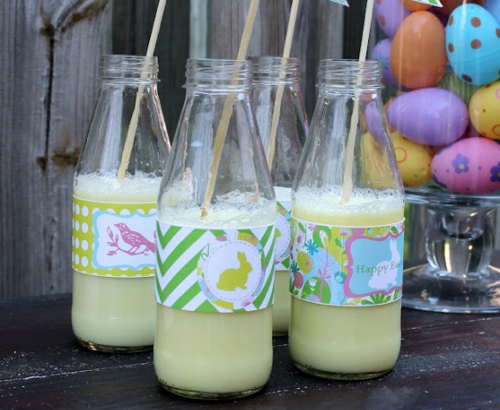 I have scoured the web looking for the best Easter party printables. Check them out! They are all free!!! 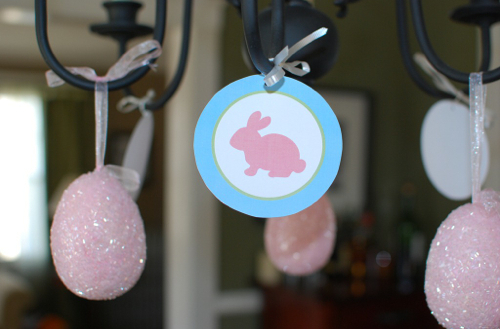 Here is a free printable for Easter. Take a look at these cute cupcake toppers! 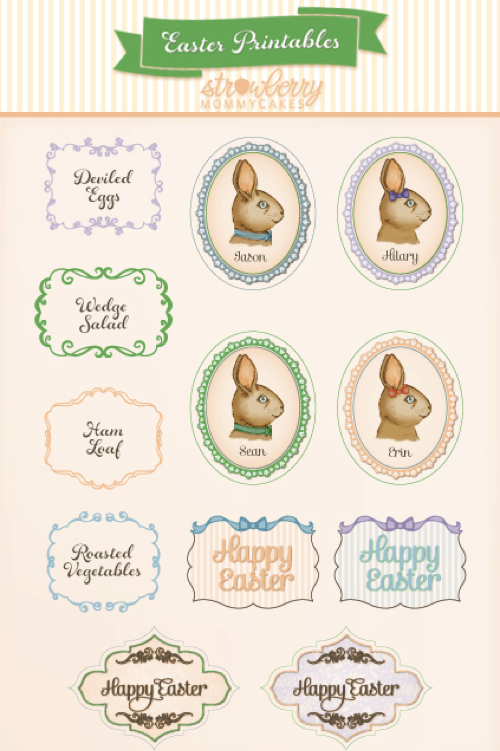 This is basically everything you will need for an Easter celebration: cupcake toppers, party circles, place cards, food tents, and favor bag treat labels. 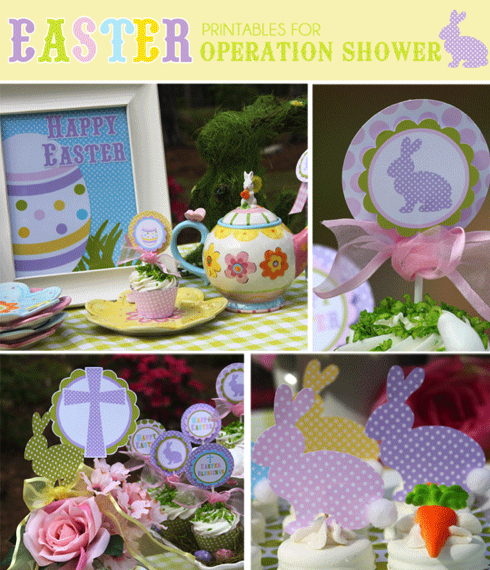 This is a cute collection of printouts for Easter. If you like a classic look, this is great choice! You have hit the jackpot, if you are looking for a complete party pack for Easter. 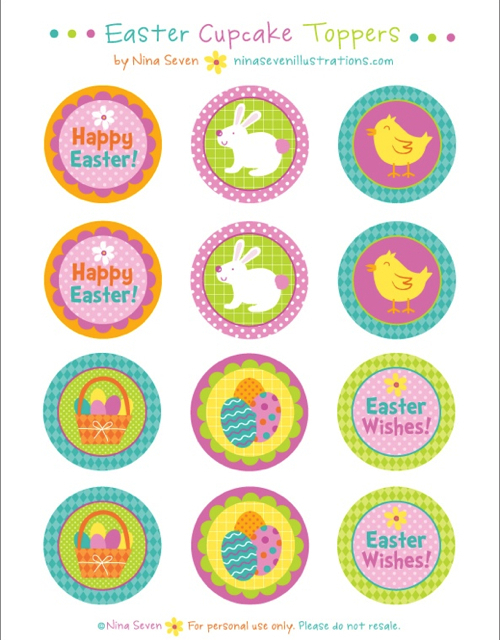 This collection includes the following: party flags, drink wraps, blank tent cards, mini party logos, favor tags, cupcake wraps, glass markers, “Happy Easter” banner, and paper garland. Here is another complete party pack for Easter. The file is a huge .pdf file, so it may take a while to download. There are 33 pages of both bunny and religious themed decor. Enjoy!